Pair of Vintage Chairs Approx: 60-65 years old. 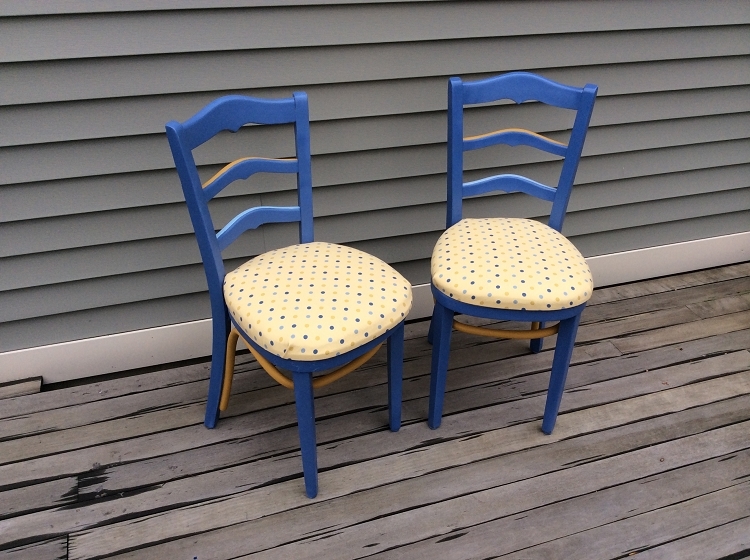 This pair of chairs features periwinkle blue base color with a pastel gold poke-a-dot fabric with dots in shades of blue. There is a matching table also. These are great pieces for the cottage, sun room, or deck. They will bright up any room or location. Price:$170.00 for the pair of chairs plus S&H. Local pickup by arrangement.